UNITED NATIONS, New York – In 1994, global leaders committed to achieving a better, fairer world for women. At the International Conference on Population and Development, governments agreed that countries must uphold each individual’s right to make free and informed choices over their own sexual and reproductive health. These rights – which encompass the right to sexual health information, the right to the highest possible standard of reproductive health care, and the empowerment and autonomy of women – are a precondition for achieving gender equality. Yet 25 years later, these rights have not been realized for all. More than 200 million women want to avoid pregnancy but are not using safe and effective contraception. Every year, millions of girls become pregnant as adolescents, undermining their educations and futures. Many of them are child brides. A woman or girl dies from preventable pregnancy-related causes every two minutes. But something extraordinary is happening: Women around the world are stepping up, defying the odds to secure the rights of their friends, sisters and countrywomen. They are real-life superheroes, and their efforts are a clarion call. Collectively, their stories offer evidence of what remains to be done, and of the feats that can be accomplished – when there is the will. Our leaders must take note and act. 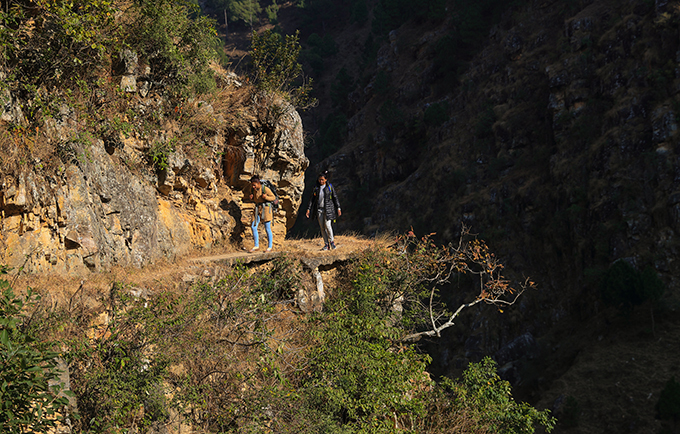 Twenty-five-year-old Kabita Bhandari scales icy cliffsides and leaps over rushing rivers, climbing high into the Himalayan mountains, all to deliver a precious and life-saving commodity: contraceptives. Women in the remote communities of Nepal face serious shortages of reproductive health supplies, including family planning materials. Ms. Bhandari and her colleagues, known as visiting service providers, trek for days through the cloud-laced mountains to reach unreached women and girls. “Many women are without family planning services. Forget services – they do not even have family planning information,” Ms. Bhandari told UNFPA, which supports her work. She provides family planning counselling, delivers contraceptives, trains local health workers and performs community outreach. In Afghanistan, Farzana Akbari took a stand. As the head of the public health ministry’s Gender Directorate, Ms. Akbari pushed through a policy that bans health facilities from performing virginity tests – invasive, discriminatory, unscientific tests intended to determine whether women and girls are virgins. “I worked as a nurse in the past and saw that many girls experienced immense mental and physical trauma because of the anti-virginity test,” said Ms. Akbari. The test – a gynaecological exam that is often humiliating and painful – provides no real evidence, yet the consequences can be life altering. “Some cases have resulted in girls being ostracized by their families and communities and even being killed,” she said. “I remember telling myself that if I could do something about it, I would stop it,” Ms. Akbari said. Her determination has paid off. And her efforts are ongoing. Today, she leads a committee to end harassment of women and girls in health-care settings. 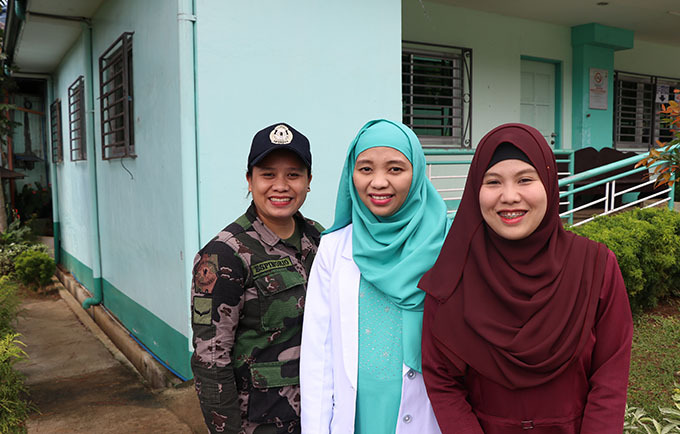 Dr. Nadhira Abdulcarim with social worker Umme Limbona and Police Officer Chrestine Espinorio. Dr. Nadhira Abdulcarim is a gynaecologist in the conflict-scarred Philippine province of Mindanao. Hostilities in 2017 dramatically escalated women’s and girls’ vulnerability to sexual violence. Yet women are often shamed into silence. Dr. Abdulcarim helps survivors of violence heal. At a UNFPA-supported crisis centre, she provides sensitive and confidential medical care. She also helps ensure that survivors have access to psychological support and protection services. Bushra refuses to be afraid. She is a former child bride, married at 14. When the conflict in Yemen caused the economy to collapse, her husband lost his job, and they faced crushing poverty. “The war destroyed everything,” she said. With six children to feed, she came up with a daring solution: Become a trailblazer. She wanted to open her own women’s security business – unheard of in her conservative community. Her business has been a success. She has since trained and equipped five women security guards. And her family is now supportive. “I am a different woman now, strong, more confident and empowered,” she said. Ifrah Ahmed is a champion in the movement to eradicate female genital mutilation (FGM) in Somalia. By speaking openly about her own experience of FGM, she sparked an international conversation about the harms caused by this practice. She has also empowered other women and girls to speak out. “I meet with many girls who have been cut, who bled from FGM and suffered because of it,” she said. Through her organization, she has trained more than 6,000 people to educate their communities about the consequences of FGM. Her foundation has also reached over 100,000 people with information about ending the practice. Bullets and bombs could not keep Aber Evaline from her job. Ms. Aber is a midwife in Juba, South Sudan, where conflict has taken a major toll on women. In 2016, as bullets and mortars ripped through the city, she became much more than a midwife. She was the ward in-charge, a pharmacist, a mentor, a cleaner and a comforter to terrified mothers and screaming newborns. She worked without a break, day and night, for five days, until it was safe for other staff members to relieve her and her colleagues. “I feared for my life, but I owed it to my community to ensure continuity of service,” Ms. Aber said. “Resources were limited, but with the team at the hospital, we gave it our all,” she said. “We stopped a life being stolen,” said Nesime Salioska, after preventing a planned marriage between a 16-year-old girl and an adult man. Ms. Salioska’s organization in North Macedonia is helping to end child marriage, which is still a common occurrence among marginalized communities in the country. Child marriage is a human rights violation, and it produces “a lifetime inequality,” Ms. Salioska explained. Girls who are married often drop out of school, limiting their future potential. But she sees progress. Her organization, together with partners including UNFPA, helped advocate for a new law making marriage under age 18 a crime. “We still have а lot of work to do, but I’m confident that we are on the right track,” she said. Alejandra Teleguario became a mayor at age 13. In her hometown of Quetzaltenango, in Guatemala, she was elected by young people to be their youth mayor, a role with real responsibility. In her three years as mayor, she help to enact policies that created scholarships and human right workshops for youth. She also pushed for more girl leaders to be recognized and empowered by the city’s leaders. Today, at 17, she continues her work as an activist, promoting girls’ rights and advocating for better sexual health information and services. She is inspired by the women around her. “Several women in my inner circle did not receive quality sexual education when they were younger, which led them to difficult situations in their personal lives,” she said. Listen to Balkissa Tari. The radio host has a message worth hearing. 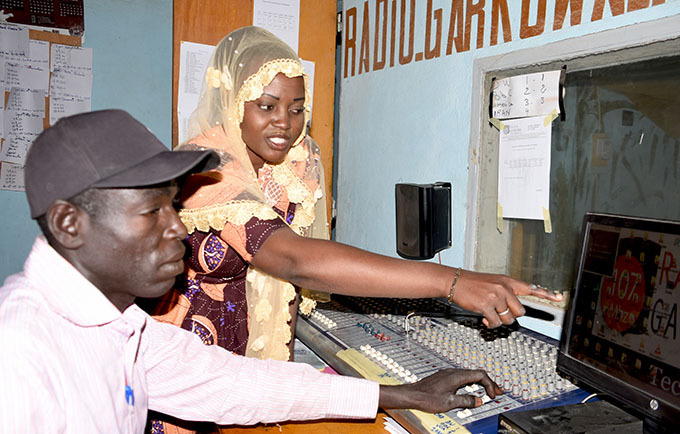 In the rural town of Tessouat, Niger, Ms. Tari was married off at age 12. Her husband was violent, and he forced her to drop out of school. Tragically, her experience is not rare. Some 28 per cent of girls in Niger are married before age 15, and 76 per cent are married before age 18. But Ms. Tari wanted a different life. With help from her older sister, she ran away to a school that offers safe haven to survivors of forced and early marriages. She went on to study radio broadcasting. Today, she hosts her own show, addressing topics like child marriage and violence against women.